Cook pasta according to package directions. 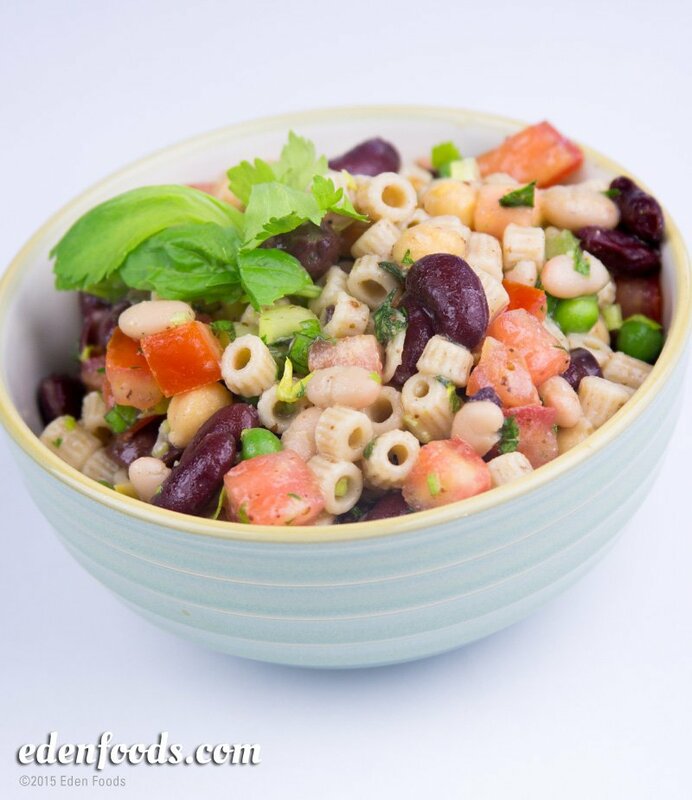 Combine beans and vegetables in a mixing bowl. When the pasta is done, rinse, drain and add to the bowl. Combine all dressing ingredients, mix and pour over the salad ingredients. Toss to thoroughly mix and serve.